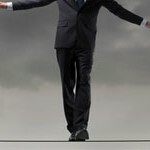 Risks are defined as an event (or something happening that gives rise to uncertainty and that may have an impact on the organisation’s desired strategic objectives. 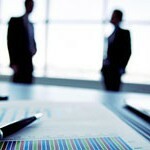 The risks identified may include those arising from both internal and external influences on operations and practices. External influences are factors usually outside the organisation’s control, such as changes to government policy, economic fluctuations, funding decisions etc. Internal influences are usually factors within the organisation’s control such as project management, financial budgeting, succession planning etc. 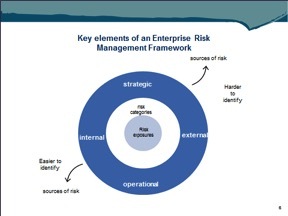 The major challenge when analysing the risks to an organisation is finding a meaningful way to categorise them. 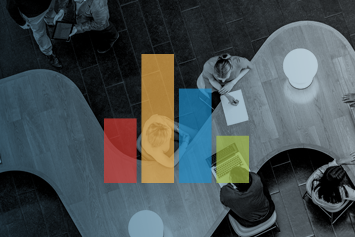 There are many different categorising models in the marketplace and an organisation needs to chose one consistent method that suits the business. 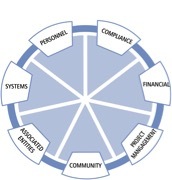 Here is a tip develop a risk wheel by identifying no more than 8 categories. 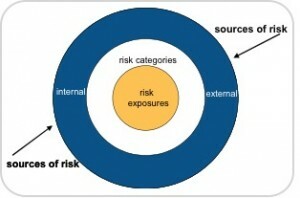 Here is an example risk wheel with some categories listed. 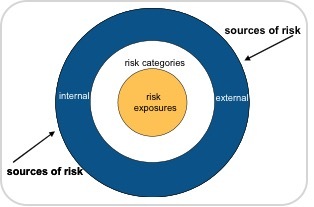 Then proceed to invite all participants and/ or staff members to suggest a risk issue in their area and place under each category , soon enough you will have developed a risk wheel as a reference point to proceed to the next steps of the risk management process. How and why could it happen?